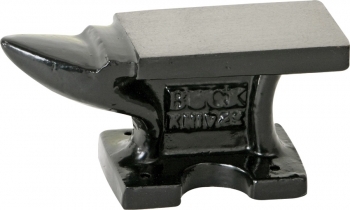 Buck Miniature Anvil. Black finish heavy iron construction with Buck logo. Measures 5 1/8 wide x 2 1/2" high x 1 3/4" deep." Do you own Buck Miniature Anvil knives BUA? Tell us about it! Have a question? Ask!